TheHighPosts.com, All Ball: From Street to Pros. Conan O’Brien, 2/17/95 – Conan went to the NBA All-Star Weekend in Phoenix. He visits with the players, (Scottie Pippin, Shaq, Charles Barclay, David Robinson, Dikembe Mutombo), plays bungee basketball, interviews some young fans, tries to push his new Conan sneaker, and gets into a mascot costume. Andy Richter. Lakers visit the White House. Find out Obama is a Kardashian fan. Yes, it’s true — Obama is a fan. He didn’t blame it on his daughters. He owned it. Barack Obama — a “Keeping Up with the Kardashians” lover? Even Khloe was speechless. Earlier we showed you this link of a prank gone wrong. While reporting on the story, the local newscaster attempted a similar shot – check out the results. Is this bogus? Basketball prank goes awry… for the prankers! Rookie Hazing: By Plane, Train or Automobile… Better Have My Donuts! 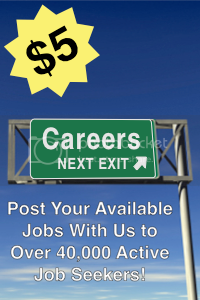 Post Your Help Wanted With Us! Only $5! need a Point of Sale solution?